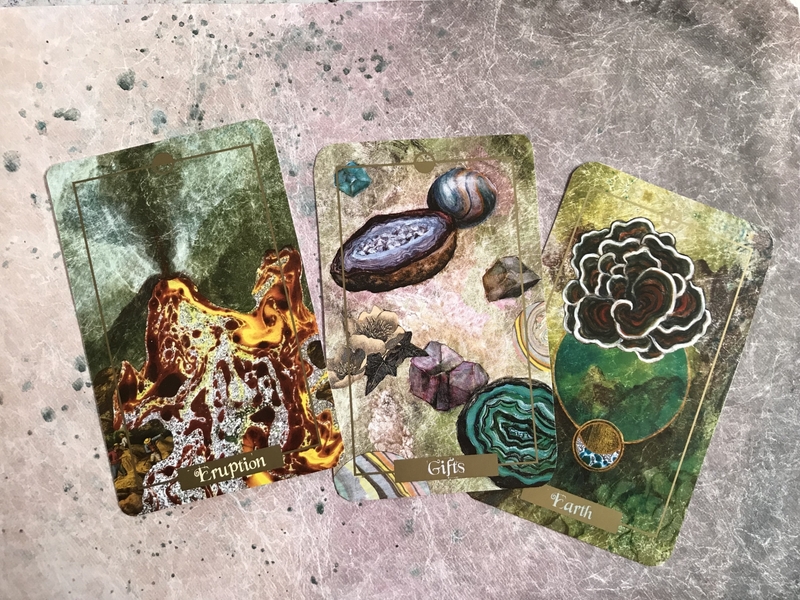 Traditionally used for divination, oracle cards are a contemporary tool enjoyed by many for self-reflection, contemplation, and guidance. This vibrant, hand-painted and collaged deck of 63 cards combines concepts of the human experience with the beauty and mystery of the natural world. 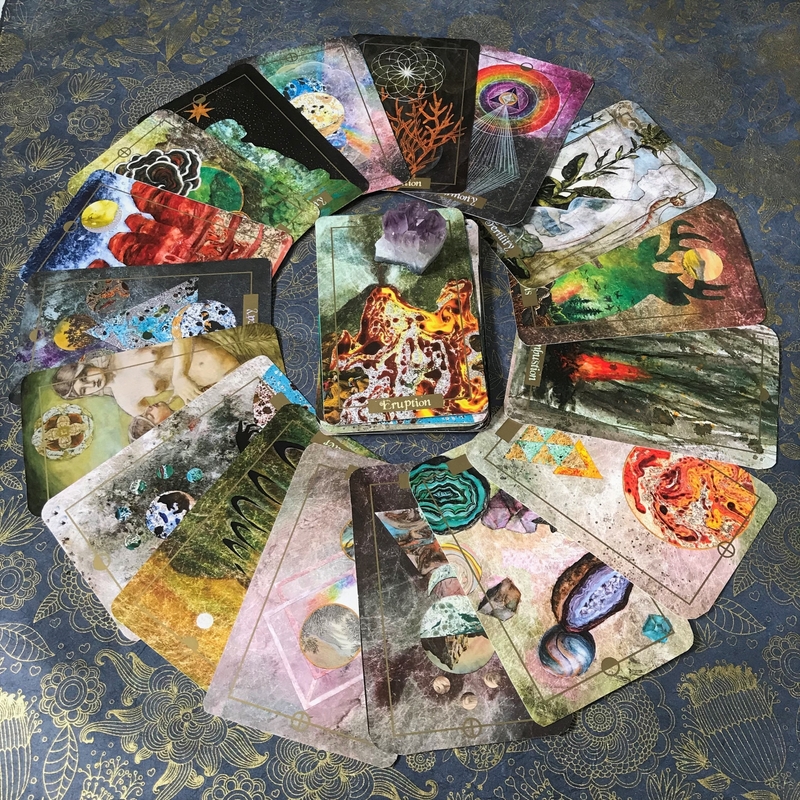 Each card is intuitively rendered, offering a unique perspective on both practical and metaphysical matters. 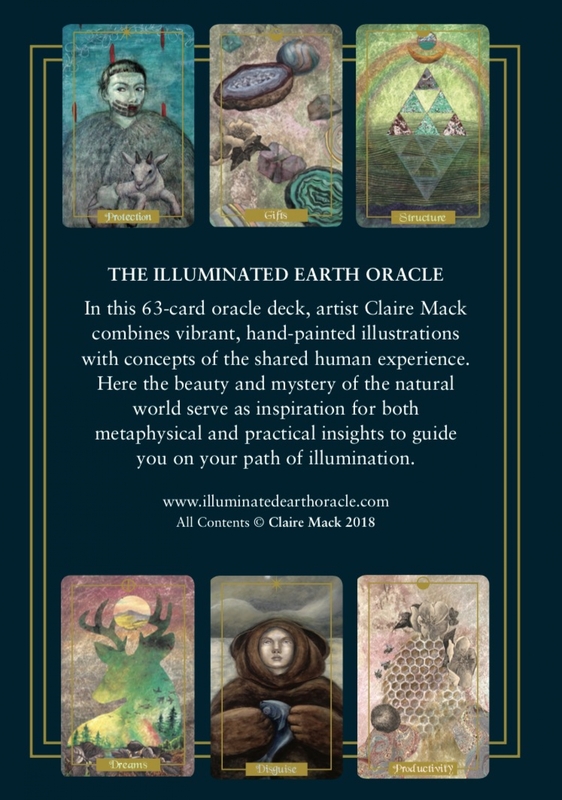 Woven within the deck are 12 of my figurative pieces which represent the human element of the seeker here on Earth, whose journey takes them on a path of illumination. Includes a 24-page booklet with topics of contemplation for each card. 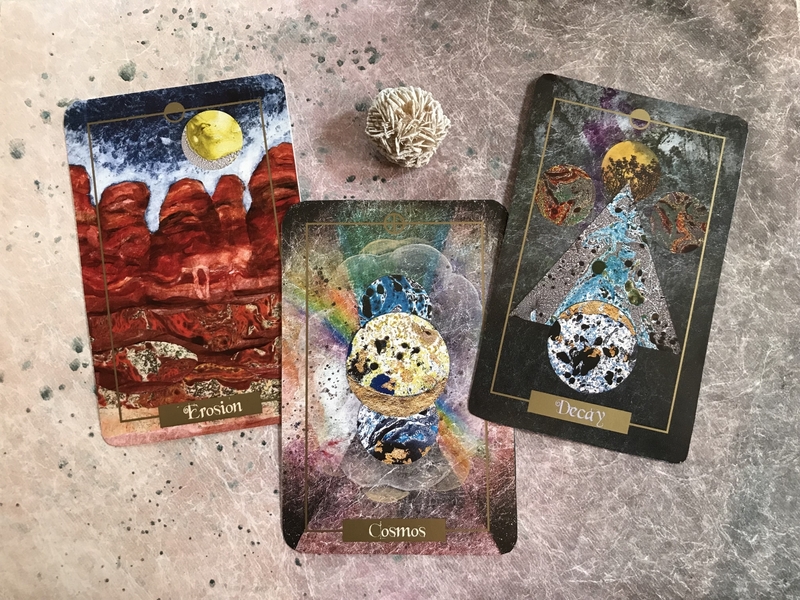 Update: The oracle decks have arrived and all pre-orders will be shipped out by August 10, 2018! Please contact me regarding wholesale or bulk pricing.